Q. 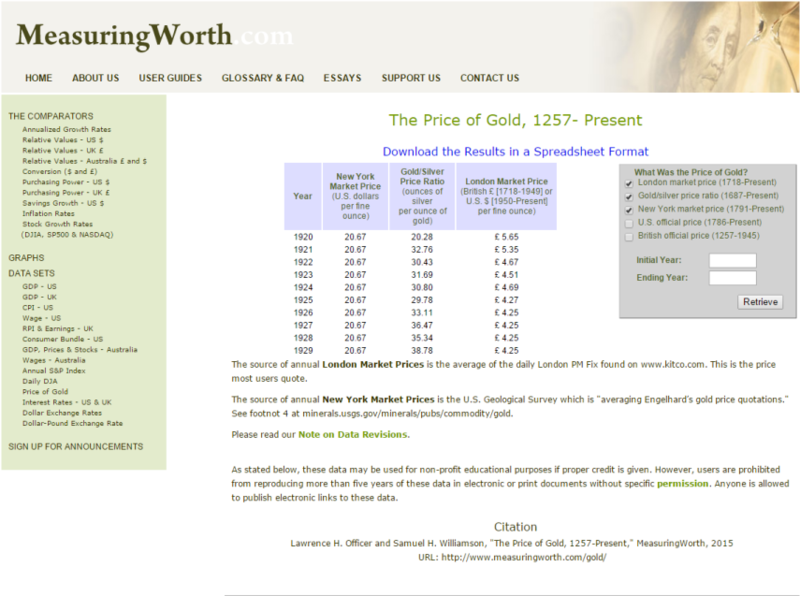 What was the price of gold in the 1920s? The price of gold in the U.S. was fixed by the federal government in the 1920s. Gold prices for 1785 to 1933 are the official price of gold as set by the U.S. Government, with the exception of the period from 1861 to 1878 when the gold exchange price as quoted in the Commercial and Financial Chronicle, and reprinted in William B. Dana & Co., The Financial Review, New York, 1878, pp. 26-31.